Call or e-mail to schedule your complimentary studio tour! 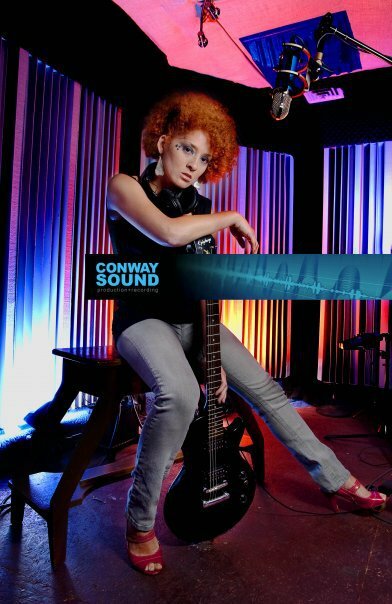 ConwaySound is located behind the Denver Puppet Theater and Zook's Coffee and Ice Cream on the south side of 38th Ave. There is free parking on the east side of the building and the entrance is at the top of the stairs. From I-25 South: Exit Speer North and continue to Federal. Turn right on Federal and drive to 38th Ave. Make left/head west on 38th for 1 1/2 blocks. Park in the lot and go up the stairs to the studio. From I-25 North: Take I-25 to I-70. From I-70: Exit South on Federal. Drive 10 blocks to 38th Ave and turn right/west. The studio is 1 1/2 blocks from 38th on the left/south side of the street. Park in the lot and go up the stairs to the studio.